Create different patterns like I did here. Remove the sleeves and use your favorite racerback as the pattern for the front and back. This keeps the tshirt even instead of doing it free handed. Using the sleeves, cut strips about the width of a finger tip. You will need 6 of them. You can knot these as far or as close as you want. Continue on with the pattern till you get the length you want. 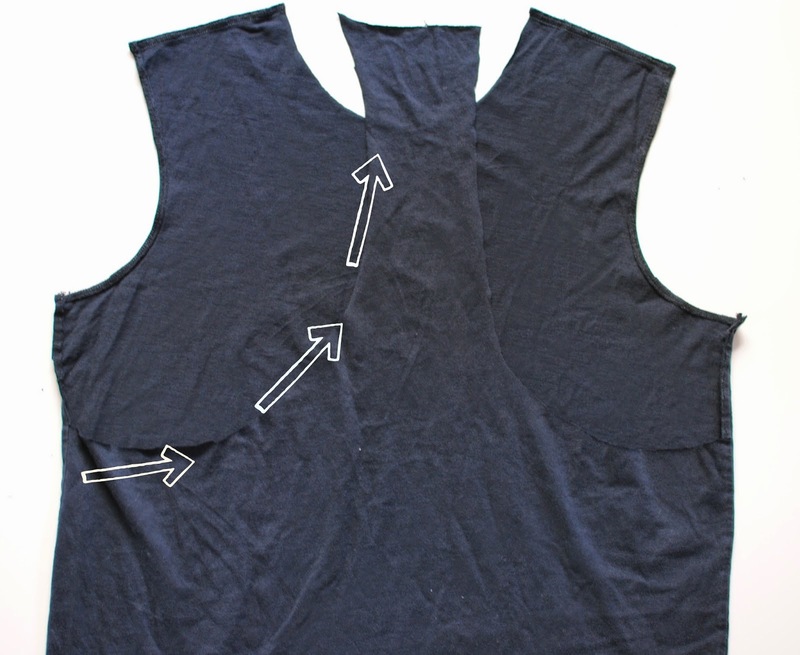 once you reach your desired length, pin on the rest of the back of the tshirt and sew. You can either top stitch or sew right sides together. Try it on before sewing to make sure it's even and the correct length you want. 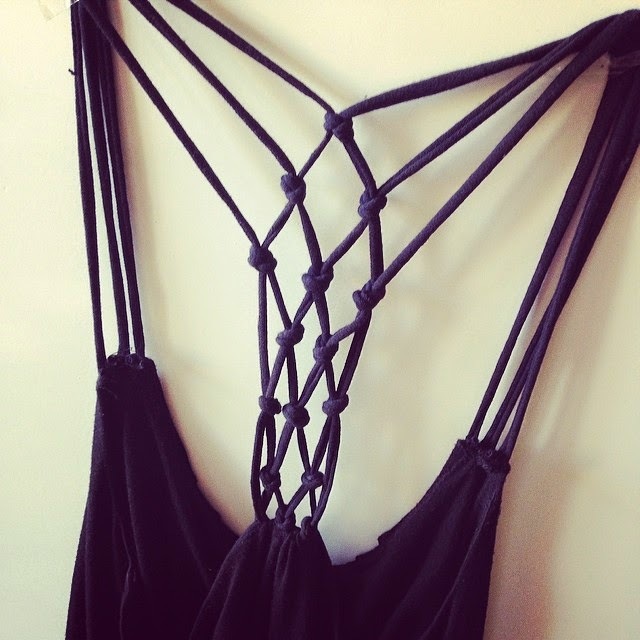 This is cute for a beach cover up too or dress. Another idea is just going all the way down continuing the pattern and adding strings on the side seams. Pinterest collage made for you! I am going to do this! Beats shelling out $78.00 or more to FP! The back is just charming. I did this with a ratty old tshirt, which was destined for the rag bag... so ez and turned out gr8 . Now I'm wishing I had used a T without stains! I wish you had a shot of this from the front as well. I'm at the attaching strings part and I am unsure whether I have cut the sleeves to much. Fingers crossed this turns out well because it looks so cool in your pictures.